We'll do it again tomorrow from about 08:00. You can get involved: If there's news you think we should know or you want to share a photo you've taken in the county, let us know by sending an email, on Facebook or on Twitter. A Home Office pathologist says the findings of a post-mortem examination raised "concern". 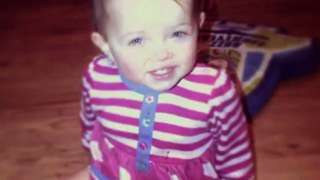 All witnesses have now given their evidence at the inquest into the death of Barrow toddler Poppi Worthington. Tomorrow lawyers will give their final submissions to the hearing before the coroner retires to consider his verdict - which is expected in January. People in Cumbria are being asked to think about others who might be suffering from loneliness this winter. The organisation which works to improve health care in south Cumbria - Bay Care and Health partners - says the cold snap, Christmas, and living in a rural area can have a detrimental effect on physical and mental health. It's hoping people will make time to spend with those who may be feeling isolated. Thanks to BBC Weather Watcher 'Terry Filmmaker' for this beautiful photo taken today at Howtown. 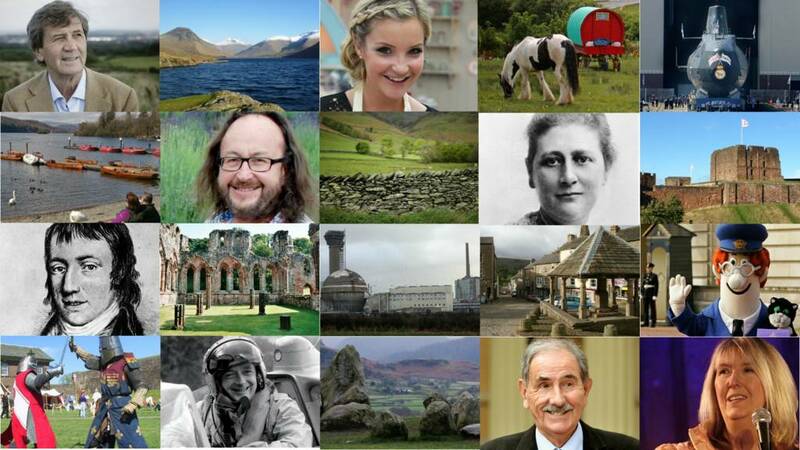 If you'd like to become a BBC Weather Watcher you can join here. There's been a 10% drop in the last year in the number of Cumbrian secondary schools judged to be good or outstanding by Ofsted. The schools inspector says this year only 59% of secondary schools got the top two grades. But 93% of Cumbria's primary schools were deemed good or outstanding. A drug dealer from Workington who was seen selling heroin 57 times near his home has been jailed for nearly six years. Carlisle Crown Court heard Steven Hilland had been witnessed by officers supplying the drug in alleyways adjacent to his property. The 51-year-old from Roper Street had pleaded guilty to supplying heroin, possessing the class A drug with intent to supply, and possession. Heavy rain will move eastwards, brightening up behind this with sunny spells and showers turning increasingly wintry this afternoon. Fresh westerly winds and highs of 6C (43F). You can see a detailed weather forecast for where you live here. The last witness to give evidence is Dr Victoria Aziz, a forensic physician who has been an expert in sexual offences for the Metropolitan Police since 1991. She said she has examined about 4,900 suspected victims of sexual abuse, 65% of which were children. But Poppi was her first case involving a dead child. Dr Aziz said her role was to provide the police with an opinion about whether sexual abuse had taken place. She was contacted by Cumbria Police on October 2014 to provide an opinion on Poppi’s case. Dr Aziz said she had seen the post-mortem reports but not the photographs or the tissue samples. Ms Hewitt asked Dr Aziz about haemorrhages and the internal bruise which were found by Dr Armour who said they were signs of sexual abuse. “In my opinion there was no penetration", Dr Aziz said. Senior coroner for Cumbria, David Roberts, asked pathologist Dr Stephen Leadbeatter about the mark described by Dr Armour as an internal bruise. Dr Leadbeatter said he had never seen a mark like it before or since in his 30 year career. He later said: “One can always come across things one hasn’t seen before, that’s the nature of rarity." Mr Roberts asked if the five-day delay between death and autopsy could have affected any findings. Dr Leadbeatter said: “It is very difficult to say to what degree this five-day interval may make." This month marks the 30th Anniversary of Hadrian's Wall becoming a Unesco World Heritage site. The status places the landmark alongside other locations such as the Taj Mahal in India and Ayres Rock in Australia. Earlier this year, the Lake District was also given World Heritage status, making Cumbria a cultural destination for people from all over the world. The Met Office have issued a yellow warning for ice which is in place from 16:00 today until 11:00 tomorrow. They say ice will again form on some surfaces from late Wednesday afternoon, which will continue through the night and well into Thursday morning. In addition, wintry showers will spread from the west with some accumulations of snow, though mostly restricted to high ground. There will probably be icy stretches on untreated roads, pavements and cycle paths with some slippery surfaces likely. The FA Cup replay against Gillingham has been rescheduled for Tuesday at 19.45. The match was cancelled yesterday because of a frozen pitch. A man has died on the A66 near Keswick. It's believed he may have been hit by a lorry and the police say the driver may not have been aware of the collision. Police would like to speak to the drivers of any heavy vehicles which were travelling along the A66 near Keswick between the early hours and 07:30 this morning. There was a “constellation of findings” that might “consider an asphyxial mode of death”, according to Dr Leadbeatter, who's giving evidence at the Poppi Worthington inquest. But he said they could all be sufficiently explained by other causes. He said: “While suffocation might be a possibility I would not go so far as to say that is what has caused this death. Dr Leadbeatter said he was unable to ascertain a cause of death. He said he could see no “structural disturbance or disease that allowed me to give a natural cause of death”. Ms Hewitt, counsel for the coroner, asked if he could say it was an unnatural death. Dr Leadbeatter replied: “I took the view I did not know what the cause of death was and I would therefore agree it should be unascertained. Dr Leadbeatter, a Home Office pathologist, has told the inquest into Poppi Worthington's death that haemorrhages in the toddler's lungs aren't "a marker in itself that takes you towards the cause of death being suffocation". He said: “One adds rather less weight to that finding now than perhaps one did perhaps 10 or 20 years ago because there is work coming to say we see (such haemorrhages) in infant deaths whatever the cause, be they sudden, accidental or inflicted suffocation." A Home Office pathologist has told the inquest into Poppi Worthington's death that the findings of the post-mortem as a whole raised "concern" but he could not "persuade" himself there had been sexual abuse. Dr Stephen Leadbeatter is a consultant forensic pathologist and is giving evidence at the inquest in Kendal. Ms Hewitt then asked Dr Leadbeatter about haemorrhages to Poppi’s throat. He said haemorrhages can be seen in the area where there has been a resuscitation attempt. “I would not attribute any significance in those findings,” he said. M6 Cumbria southbound severe accident, between J38 for A685 and J37 for A684. M6 Cumbria - An accident on M6 southbound between J38, A685 (Tebay) and J37, A684 (Kendal). Traffic is coping well. A Home Office pathologist has told the inquest into Poppi Worthington's death that, based on pictures, he can't see anything that would suggest that she had been bleeding from her bottom. A number of medical staff have said that they noticed bleeding there. Dr Leadbeatter continues to give evidence at the inquest in Kendal. The inquest into the death of Poppi Worthington has resumed. Dr Stephen Leadbeatter, a consultant forensic pathologist and the senior lecturer in forensic pathology at Cardiff University, is giving evidence. He has been a Home Office pathologist since 1987. Dr Leadbeatter said he was instructed to review Dr Alison Armour’s findings by a solicitor representing Poppi’s siblings but his view would be “given independently”. Dr Leadbeatter said he had seen Dr Armour’s report, pictures from the post-mortem examination and samples taken from Poppi. He said he was in a different position to where he would be if he had actually examined Poppi himself. He was shown a photograph of her bottom which Dr Armour claims showed signs of abuse.